I love a good DIY and especially when that means saving some money. 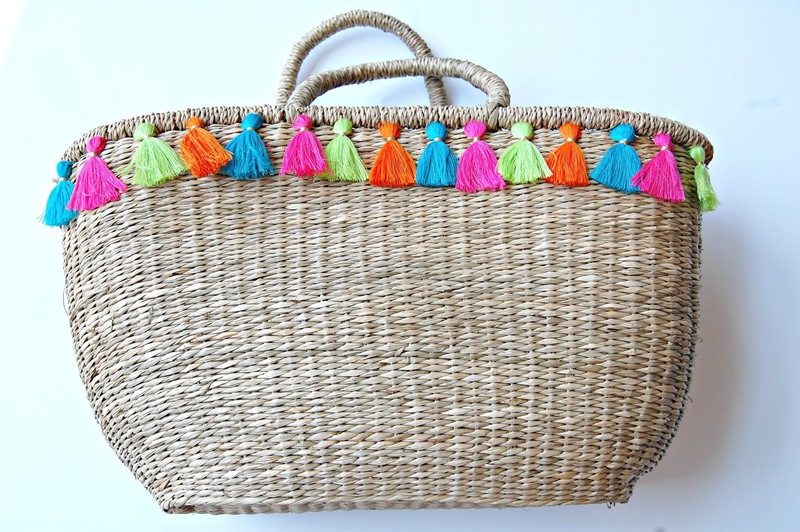 Tassels are everywhere this summer and I've been obsessing over all the cute straw bags adored with them. However, I was not obsessing over the $80+ price tags they all have. 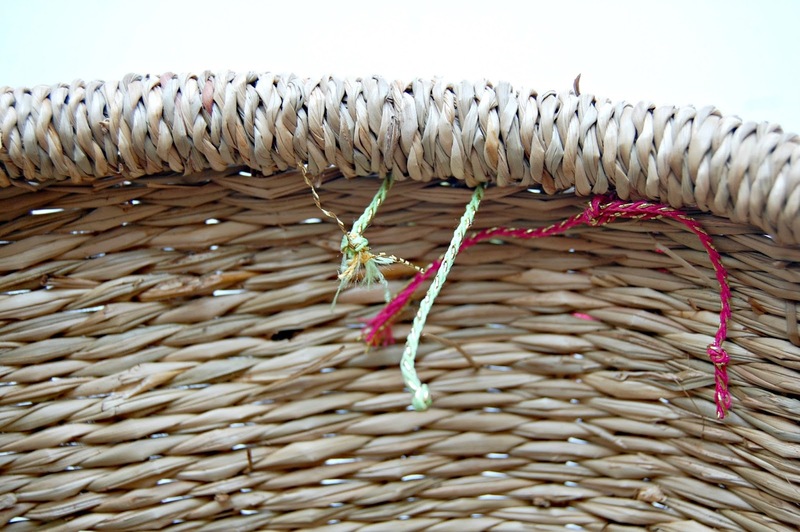 So I found the fix for you, including a tassel hack so you don't have to make your own! This bag cost me $14! 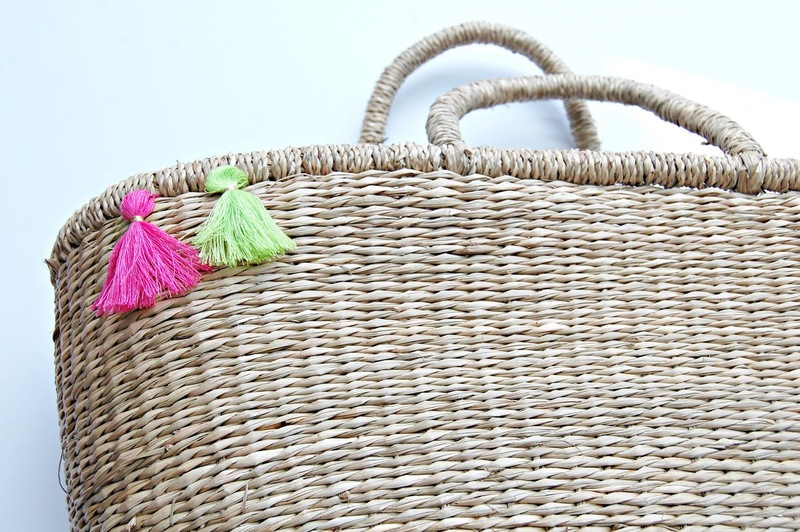 I was shopping in Michael's, had already pick out my embroidery floss colors to make my own tassels when I stumbled upon the bins sections of the store. 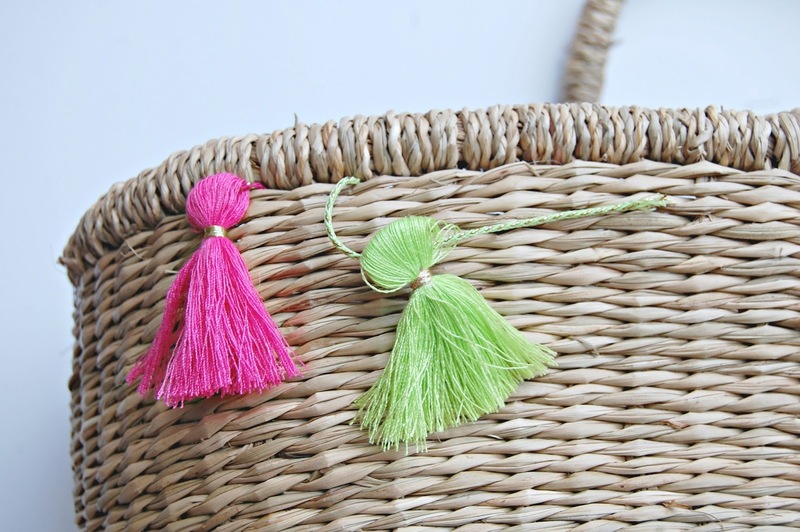 They had already made tassels in the neon colors I planned to use and they were $1.50 per package! Each package had 5 tassels and the time/effort it saved was totally worth it. I highly recommend this route. This may be the easiest project I've ever done. You thread one side of the string (already comes with the tassels) through the bag and loop the other side around the straw weave. Then you simply tie a double knot with both side of the string on the back of the bag. Continue this process until you've got the whole thing covered! I only covered the front side, but may go back and do the whole thing.